If you haven’t already figured it out, we love October and Halloween season. One of the few main horror franchises we have yet to create a recipe for is the Halloween series. When we heard Blumhouse was involved in the making of a new Halloween movie we were beyond excited. Even more so when we heard Jamie Lee Curtis was returning. This news gave us the perfect excuse to get in the kitchen. 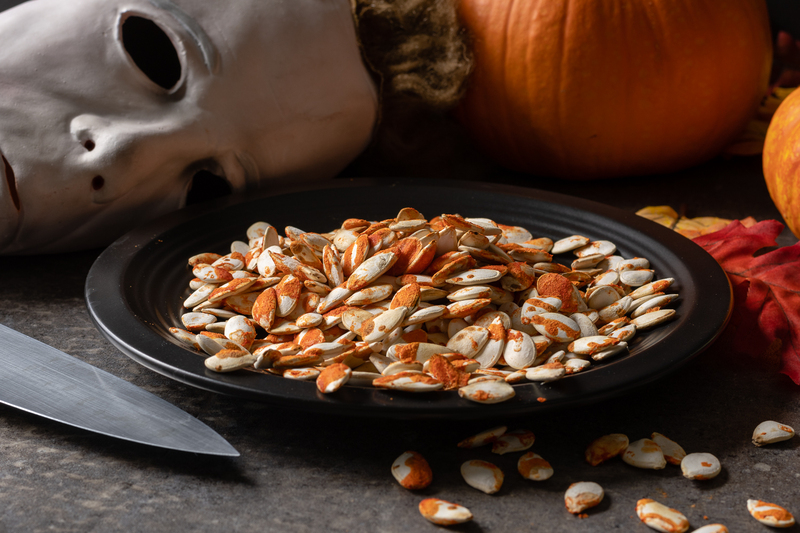 We’ve created a tasty new recipe for Blood Spattered Pumpkin Seeds! Not only that, but we also had the opportunity to interview Halloween’s co-producer, Ryan Turek. 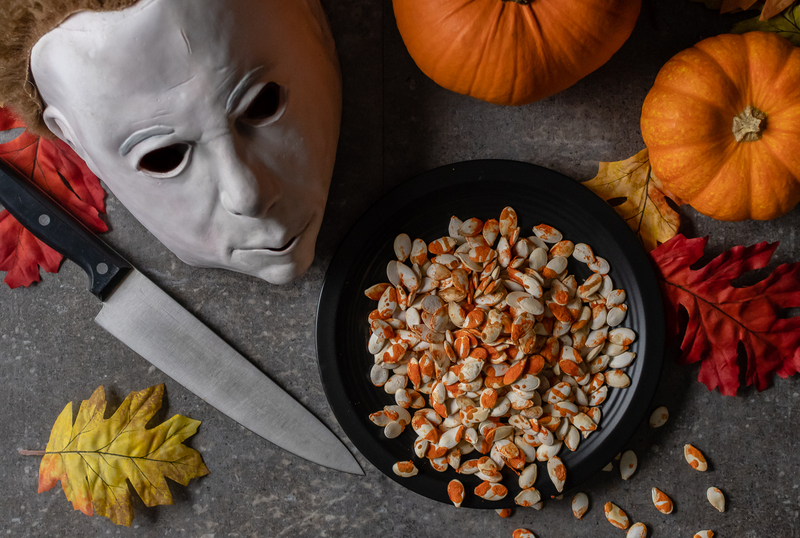 When creating our Blood Spattered Pumpkin Seeds we took a few things into consideration. First, we wanted something bloody. Second, we wanted to create something that used pumpkin. We decided to use pumpkin seeds because they are a great movie snack. Not only that, but you can either collect your own or buy them at the store. This recipe is easy enough that either option works. How long have you been a horror fan? What was the film that started it all? Since I was six years old when I picked up my father’s copy of Stephen King’s Cycle of the Werewolf. But the film that started it all for me was Fright Night which I saw on opening night. I was told it was going to be “scary as hell” but I told my folks that I didn’t care and I still wanted to see it. And the movie wound up being not just scary, but funny as well. 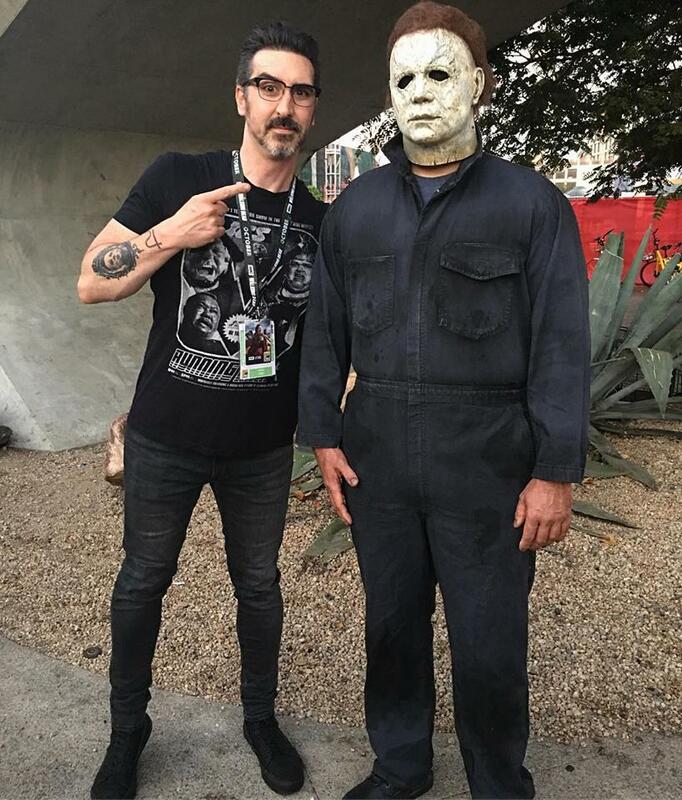 Most of your experience in the movie industry has been with titles that are not part of an existing franchise (or a franchise as long as the Halloween series), how was this experience different? That is to say, did you feel more pressure producing Halloween due to the iconic nature of the film? For sure, much more pressure. But our whole system of making movies is built around the director and supporting what he or she needs and believing in his or her creative decisions. David Gordon Green is a total pro and a terrific collaborator, so it made the creative easy and tons of fun. What 3 movies outside of the Halloween series should Halloween fans watch? You mean slasher and Halloween-like? I’d say they should watch Black Christmas for sure. A few other slashers I don’t think get enough love are Stage Fright (the Italian slasher by Soavi) and Just Before Dawn. What are thoughts on the current state of horror, what trends are you loving and which do you think are done? I don’t think horror is following any particular trend at the moment. I think what audiences are celebrating is the fact that we’re getting so many great horror movies tackling a wide variety of subjects. We’re not stuck in any particular fad or anything of the sort, which is awesome. What is your must-have movie snack? Popcorn! Or pumpkin pie…if I’m at home and I’ve made some. This post has been so full of awesomeness, between an interview with Ryan Turek and an awesome recipe, how can it get much better? Well, we have a fantastic giveaway as well! We are giving away 5 pairs of VIP screening tickets for a sneak preview! The screening will be held at Harkins Tempe Marketplace, on Wednesday, October 16th. The screening starts at 7 pm and the winners should arrive at 6:15 in order to guarantee their seating. Winners will be selected on Monday, October 14th. 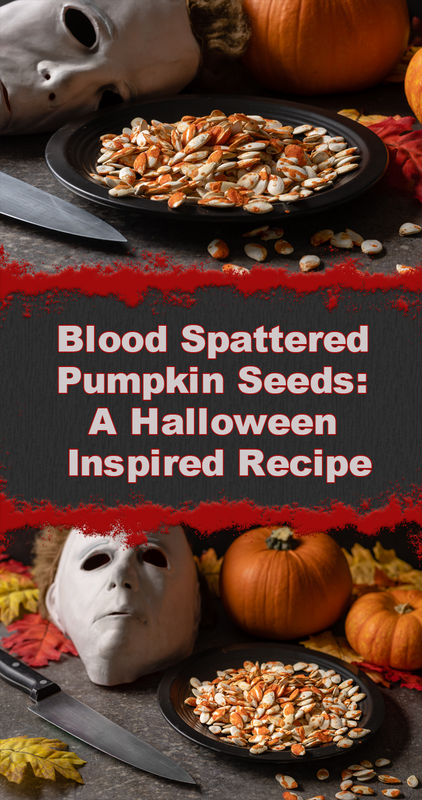 The Geeks have created a new recipe, Blood Spattered Pumpkin Seeds, just in time for the release of Halloween. They are a perfectly spooky movie night snack! Spread seeds on lined baking sheet. Drizzle with Frank's Red Hot Sauce. Keep a close eye on the seeds when broiling to make sure you don't burn the sauce.